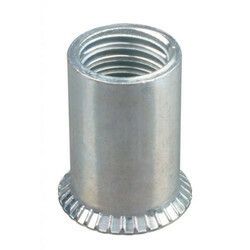 Nut inserts / Blind Rivet Nuts are specially designed to provide strong and vibration proof threads in thin walled materials and can be quickly and easily be fitted to thin sheet metal components like sheet metal assemblies , pipes , plates, sections and tubes. 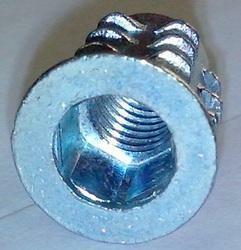 We are engaged in offering a reliable gamut of Nut Inserts. Our customers can avail from us an extensive range of nut inserts which includes brass hexagonal nut inserts, brass square nut inserts and non ribbed inserts. These are precision engineered in strict tandem with the international quality standards. Available in variety of sizes and finishes, our range is available//repetition at industry leading prices. Rivit India Fasteners Pvt. Ltd. This design ensures that one tool is sufficient for complete assembly/disassembly.